Welcome to the NEAR Foundation – The NEAR Foundation is dedicated to serving families of those who have special needs. 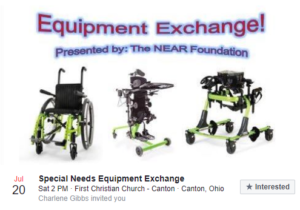 The NEAR Foundation is dedicated to serving families of those who have special needs through providing Networking and peer support opportunities, Education for families and community partners, Advocacy directed towards helping children with special needs have opportunities for inclusion and self-direction, and providing monetary and material Resources to families to promote the well-being of children with special needs and their families. Welcome to the NEAR Foundation © 2019. All Rights Reserved.